This image released by Neon shows Aretha Franklin in a scene from the film, "Amazing Grace." 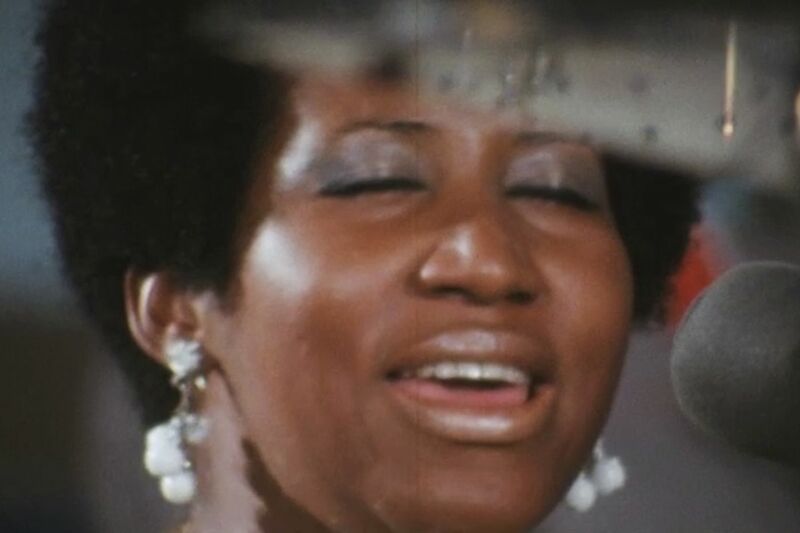 Forty-seven years after it was recorded, the concert film that was meant to accompany Aretha Franklin’s gospel album Amazing Grace — the biggest seller of her career — has finally arrived in theaters. The delay of nearly half century was caused by technical difficulties, legal issues, and the singer herself personally blocking it in recent years for reasons known only to her. With the Queen of Soul’s death in 2018, her estate, run by her niece Sabrina Owens, has gone ahead with the release of the film, which was recorded in two days in January 1972 at the New Temple Community Baptist Church in Los Angeles. And lo, were those glorious days! Franklin was then 29 years old, at the absolute peak of her unmatched vocal powers. Amazing Grace was a revisitation to the musical environment in which she was raised, with a band featuring Bernard Purdie on drums and led by the Rev. James Cleveland, a close family friend and a giant of modern gospel. The Southern California Community Choir, directed by Alexander Hamilton, gives Franklin vocal support. And the costars are the church attendees, whether they be the church’s regular African American parishioners who fill the house, dressed to the nines for the special occasion, or the special guests like Franklin’s mentor Clara Ward (whose funeral she would sing at in Philadelphia the following year) or Mick Jagger and Charlie Watts of the Rolling Stones, bopping along at the back, alive with the spirit. How could they not be? Franklin is brilliant and thrilling throughout, all the more so because she approaches her task with such humility. It’s not a stage she’s performing on. It’s an altar. And whether she’s standing at a lectern or seated at her Steinway, she’s intent on being a conduit for a high power. The poster for Aretha Franklin's gospel music concert film Amazing Grace. The difficulty in completing Amazing Grace began with director Sydney Pollack, who apparently botched the synchronization of sound and image so badly that it took years of work to repair, even before legal issues and Franklin’s determination kept it from being seen. Pollack, the Tootsie director who died in 2008, is still credited, and can be seen on screen at New Temple. His decision to shoot the action with more than a dozen cameras gives the movie a close-up intimacy and multiplicity of perspectives. Now that it has been, seeing what occurred during those two days in Los Angeles in 1972 reaffirms what fans of the Queen of Soul have long realized: That the greatest pop vocalist of her time was at her most incandescent when singing in the service of the Lord. Amazing Grace. Directed by Alan Elliott and Sydney Pollack. With Aretha Franklin, the Rev. James Cleveland, Clara Ward, C.L. Franklin, Mick Jagger, Charlie Watts. Distributed by Neon.